Exodus: Fact or fiction? This four-room house from Izbet Sartah, Israel, shares many similarities with the 12th-century B.C.E. 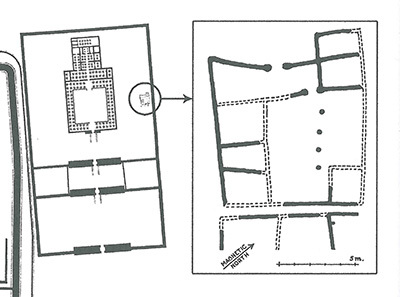 worker’s house uncovered in western Thebes. Photo: Israel Finkelstein/Tel Aviv University. Is the Biblical Exodus fact or fiction? This is a loaded question. Although Biblical scholars and archaeologists argue about various aspects of Israel’s Exodus from Egypt, many of them agree that the Exodus occurred in some form or another. The question “Did the Exodus happen” then becomes “When did the Exodus happen?” This is another heated question. Although there is much debate, most people settle into two camps: They argue for either a 15th-century B.C.E. or 13th-century B.C.E. date for Israel’s Exodus from Egypt. The article “Exodus Evidence: An Egyptologist Looks at Biblical History” from the May/June 2016 issue of Biblical Archaeology Review wrestles with both of these questions – “Did the Exodus happen?” and “When did the Exodus happen?” In the article, evidence is presented that generally supports a 13th-century B.C.E. Exodus during the Ramesside Period, when Egypt’s 19th Dynasty ruled.